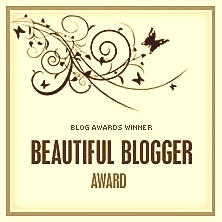 The theme for November’s photo blog and challenge hosted by http://hoohaa.com/ was THANKS. I feel like my life can be summed up in these words: I am thankful for family, friends, good food, and lots of fun. 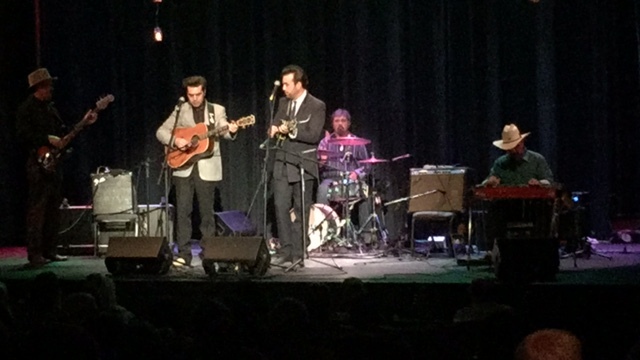 I went to a Greenwood Performing Arts concert featuring the Malpass Brothers. They play old country and bluegrass music. I am thankful that I was able to see them in concert because I love listening to this type of music but rarely get to hear it live. We had some friends over to our house and made a bonfire. 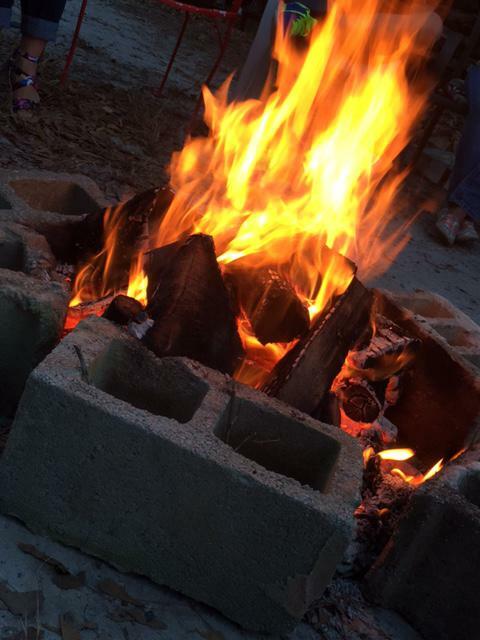 On a slightly chilly evening, it is great to be able to relax in front of the fire with friends. Thankful for nights like this. I went to the local Chamber of Commerce annual wine walk called Grape Stomp. Instead of taking pictures of the wine , I decided to take a picture one of the prettier delectable snacks paired with a dessert wine at Flynn’s. 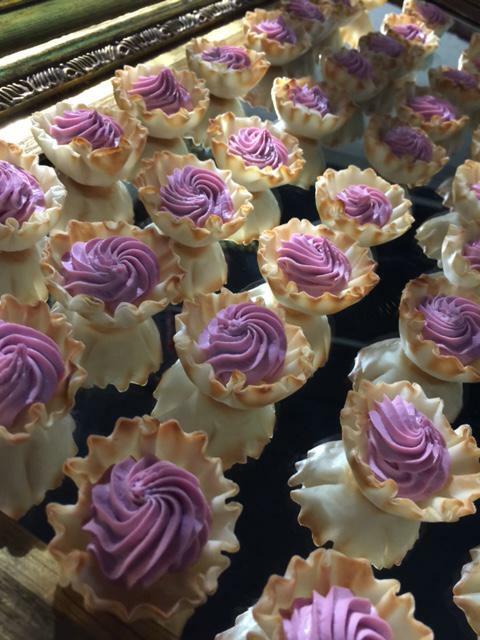 These were a strawberry cream cheese inside of mini phyllo shells (compliments of Inn on the Square). Delicious! Thankful for being able to enjoy good food and good wine with friends ! I hope everyone was able to see the super moon a few weeks ago. Staring at the night sky, I realize how insignificantly small I am in comparison to the universe. However, I am thankful that I am here with my family on this great big earth. 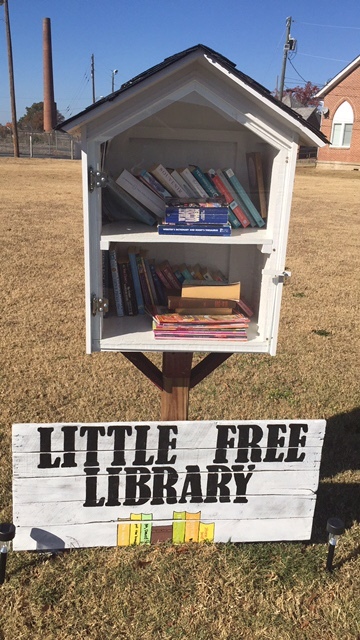 Saw this Little Free Library in town and it just made me realize how thankful that I am that my mother instilled in me a desire to read and a love for learning. These were just a few of the pictures that show the different areas of my life where I am thankful.